In 2005, Los Angeles World Airports (LAWA) contracted with HMMH to conduct two Federal Aviation Regulation Part 161 studies for the purpose of adopting noise and access restrictions at Los Angeles International (LAX) and Van Nuys Airports (VNY). The proposed restriction at LAX was intended to eliminate easterly departures over the city between the hours of midnight and 6:30 a.m. when the airport is operating in Over-Ocean Operations or Westerly Flow. Sleep disturbance and environmental justice issues were factors used to justify the restriction. The VNY Study addressed 12 proposals in five broad categories, including: restriction of noisier aircraft operations, restricting growth in jet operations, restriction of helicopter operations, restriction of nighttime operations, and penalizing or prohibiting operations exceeding measured noise limits. Ultimately, only one of these proposals was carried forward (a seven-year phase-out of noisy aircraft). HMMH determined that restrictions to achieve improvements in other categories would not meet legal requirements, and that existing non-restrictive approaches had been successful in those areas and further improvements could be achieved through enhancements of existing implementation mechanisms. 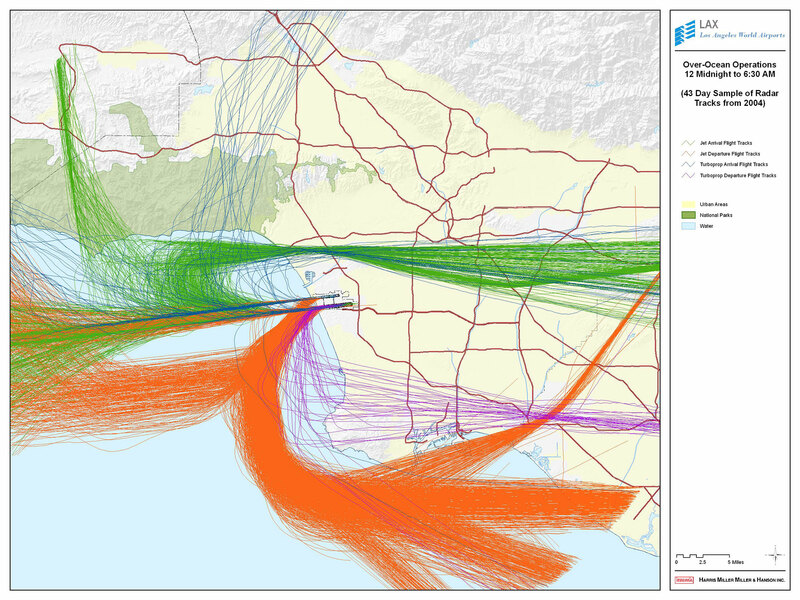 The VNY study was the first Part 161 to consider multiple proposals (ultimately a total of 12), and the LAX study was the first to address a mandatory runway use program.